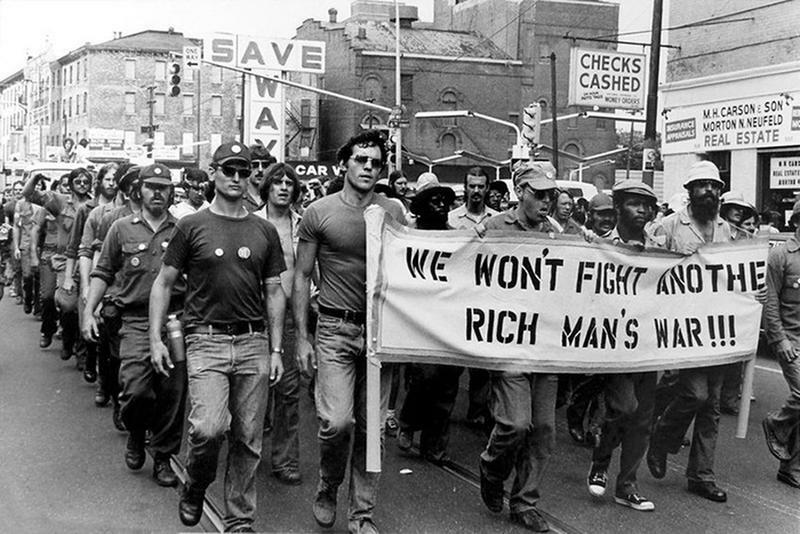 The Sixties in the US, and much of the Western world, were a time of social upheaval. Calls for change can be seen on sidewalk posters and protests signs demonstrators carry with them. Below you’ll see photos of people holding signs, representing the movement they’re in for - the civil rights movement, the anti-Vietnam War movement, the gay right’s movement, the women’s movement, student movement and more. Each, to varying degrees, influenced government policies and, perhaps more importantly, contributed to the kind of life we’re living today. 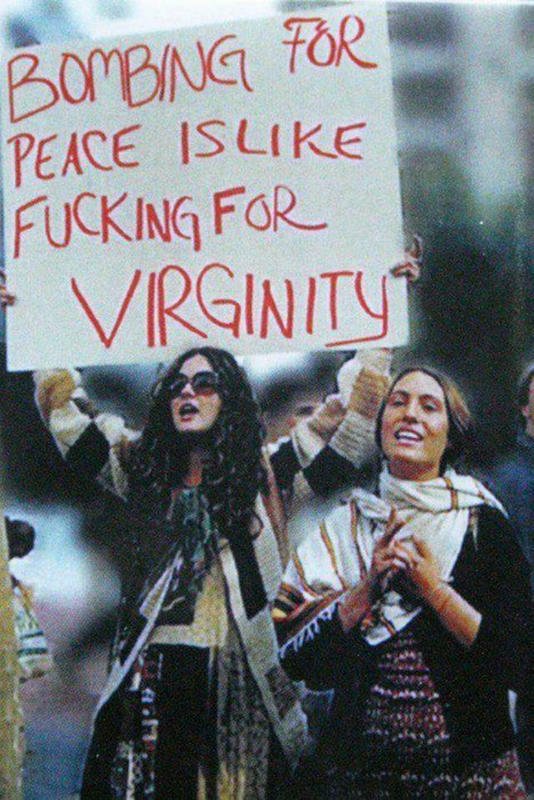 A sign in the 1960s during during a Vietnam War protest. War veterans against the War. 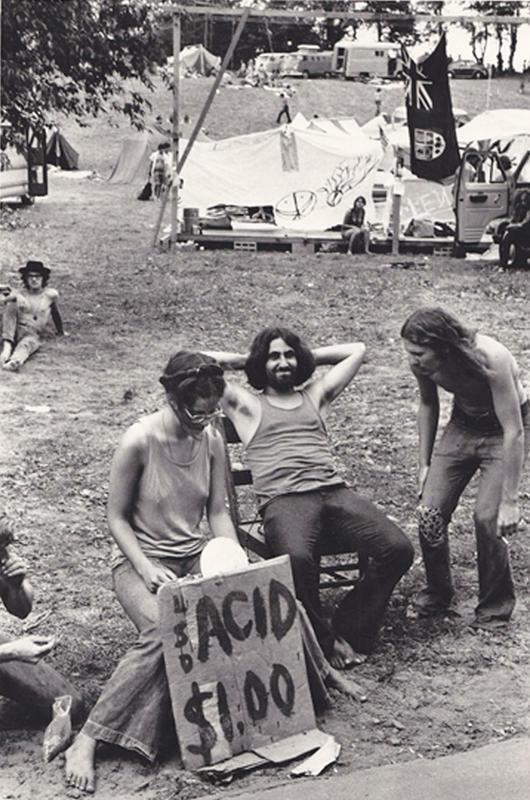 Hippies selling acid during 1969 Woodstock. 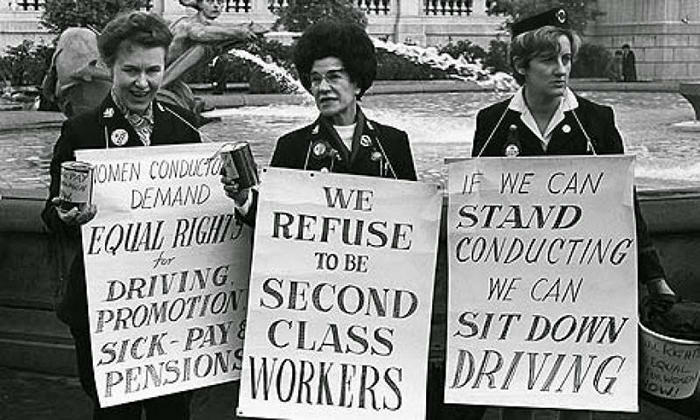 Equal Pay for Equal Work women demonstrators, London's Trafalgar Square, May 1968. 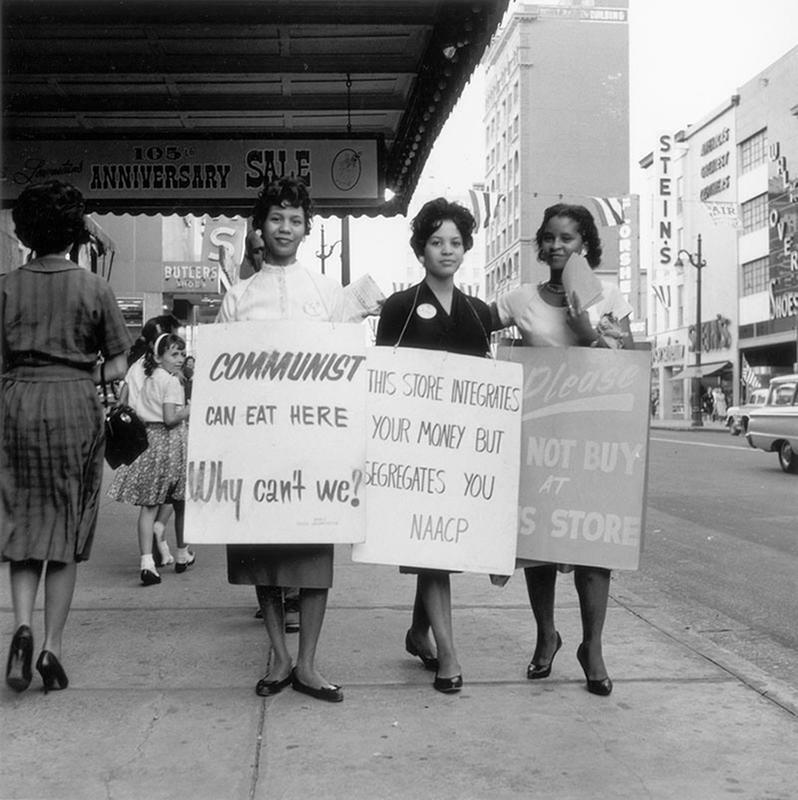 NAACP protest, Memphis, TN, early 1960s. 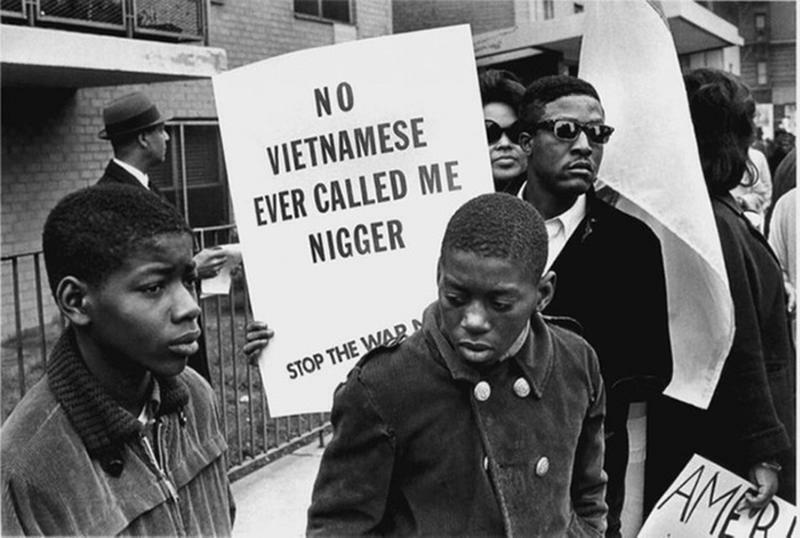 African Americans protest against the Vietnam War during the Harlem Peace March, 1967. 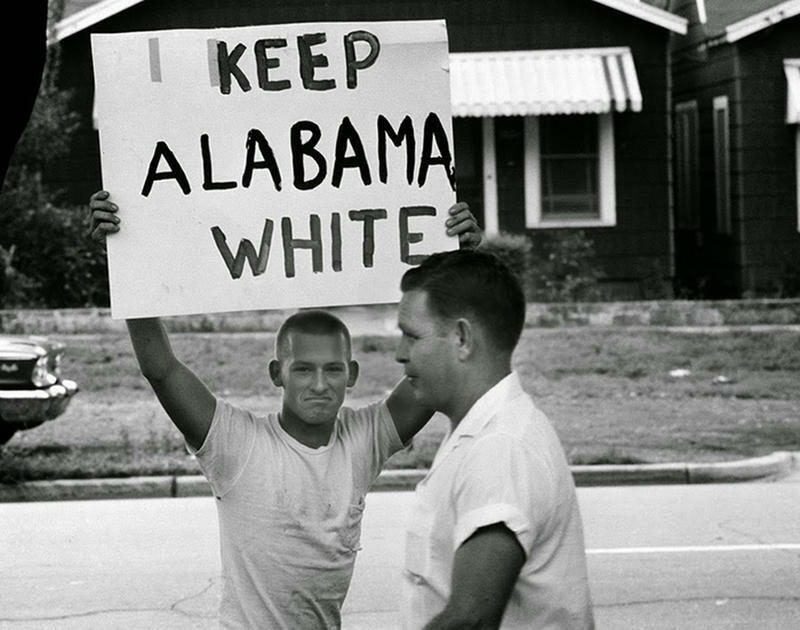 Student at Montgomery High School protesting the integration, 1963. 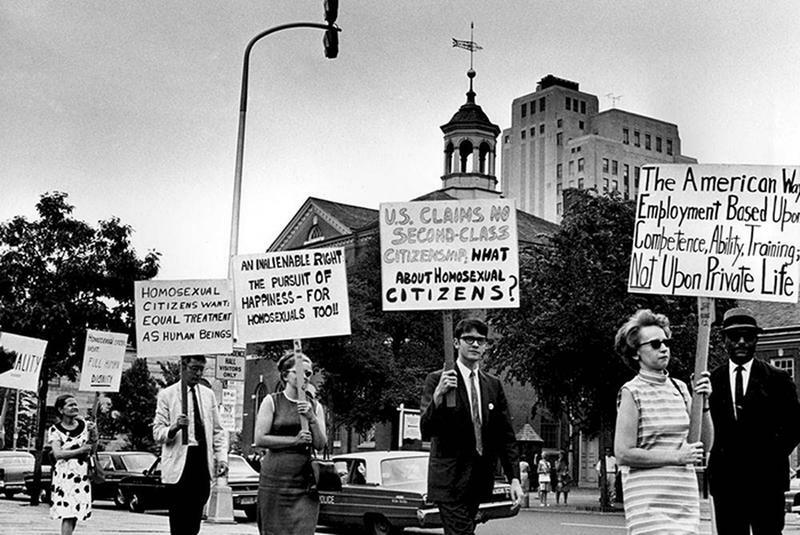 Demonstrators carry signs calling for protection of homosexuals from discrimination, July 1967. 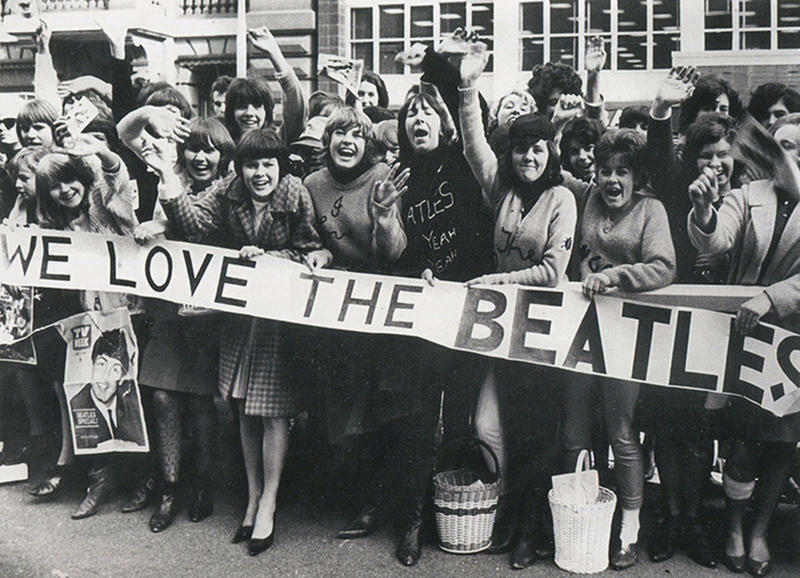 Beatles' fans holding banners and waving at band, Australia, June 1964. 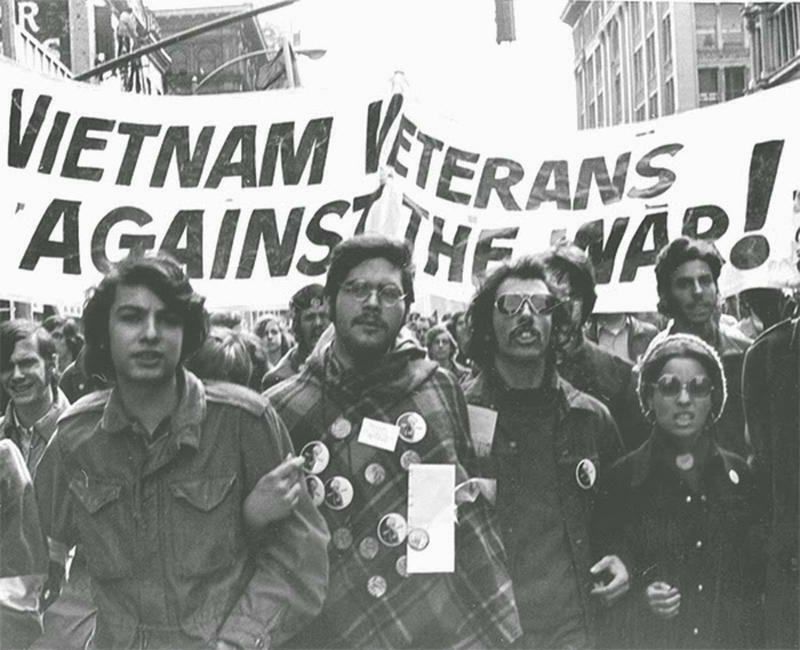 10,000 people jammed into Hartford's Bushnell Park with one goal: to stop the war in Vietnam. The demonstration go down in the city's history as the single largest protest of its kind, October 15, 1969. 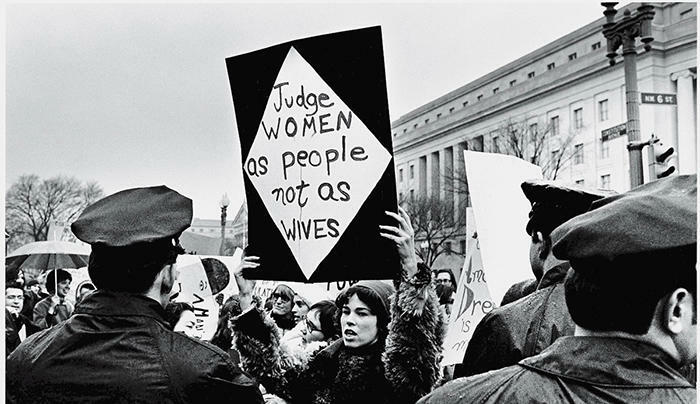 A young American woman protesting for women's rights in front of the Federal Trade Commission headquarters while police look on during Richard Nixon's inauguration weekend, Washington, DC, January 18-21, 1969. 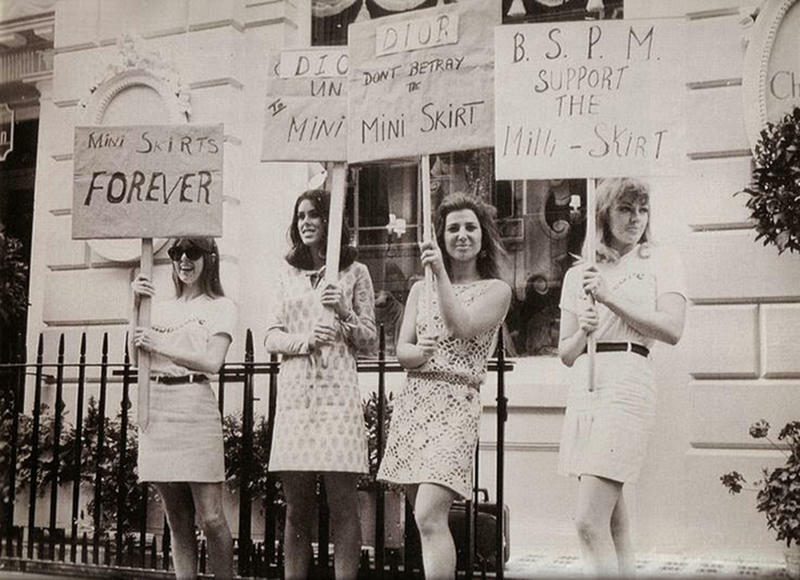 Girls from the British Society for the Protection of Mini Skirts hold out signs outside the House of Dior, for its 'unfair' treatment of mini skirts, ca. 1966. 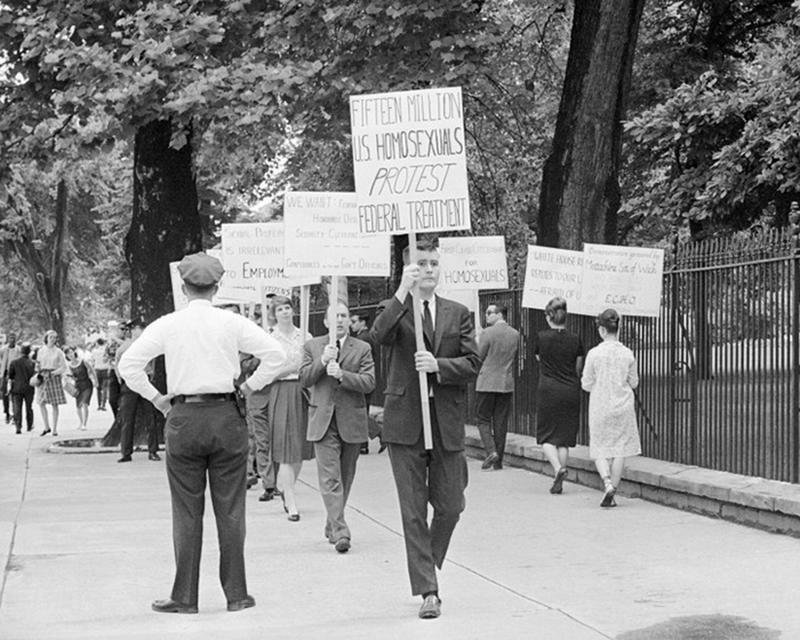 Gay rights activists protesting the government's discrimination against homosexuals, 1965. 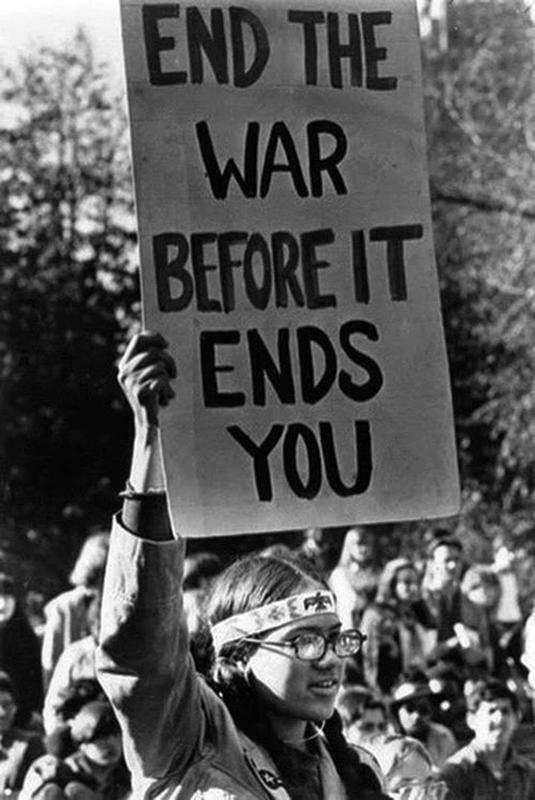 Hippie against the Vietnam War, ca. 1960s.